Today I want to talk to you about how to design a great hutch for your bunnies; I don’t have a specific design for you to copy, although plenty of the ones here are for sale. I hope you are inspired to build or buy your own fantastic hutch for your precious bunnies. Updated to remove Amazon links. We have designed and made three hutches so far, in all three instances we used the original hutches that we acquired with the rabbits. In the case of one hutch, we deemed it too uninviting to modify it, so it sits out in one of the runs as a playhouse instead, on the understanding that we’d never leave any rabbit in that run for more than a few hours if we need them all outdoors (i.e. if we’re vacuuming, doing home improvement etc). There’s already plenty of articles about specific hutches, I wanted to discuss more generally how to ensure your exciting hutch project meets your rabbits needs (and your own) and how this factors into the design process. Check out laws in your state, in case they’re different. Most states recognise rabbits as “exotic pets” which makes no sense to me – they’re as common as cats and dogs, and are native to the USA, so why exactly are they classed as exotics, like monkeys and weird spiders? In the UK, they are just classed as standard pets, and this means there’s laws about how they should be kept. 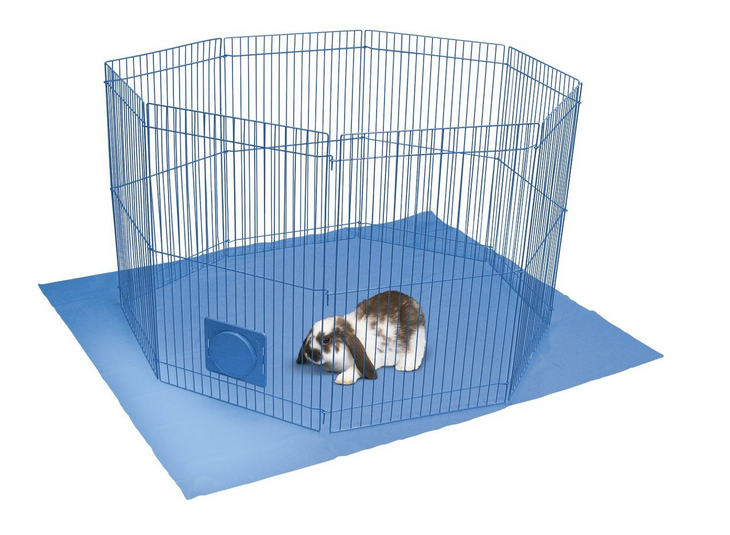 In the UK, rabbit hutches should be at least 6X2X2 feet. In the USA, there’s no minimum, but welfare charities recommend the 6X2X2 rule there, too (for a standard sized rabbit, i.e. one that is about 2 feet long when resting stretched out – if you have a giant rabbit, the hutch size recommended is 9X3X3). While there is no recommendation about dwarf rabbits, we can do the same calculations and arrive at 5X18”X18” as a conservative (generous in favour of the rabbits) estimate. 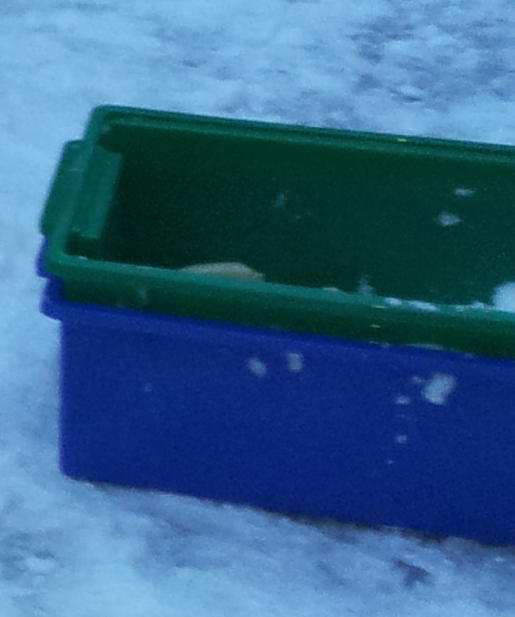 This is the bare minimum size your total rabbit housing space should be. Make it bigger, by all means! 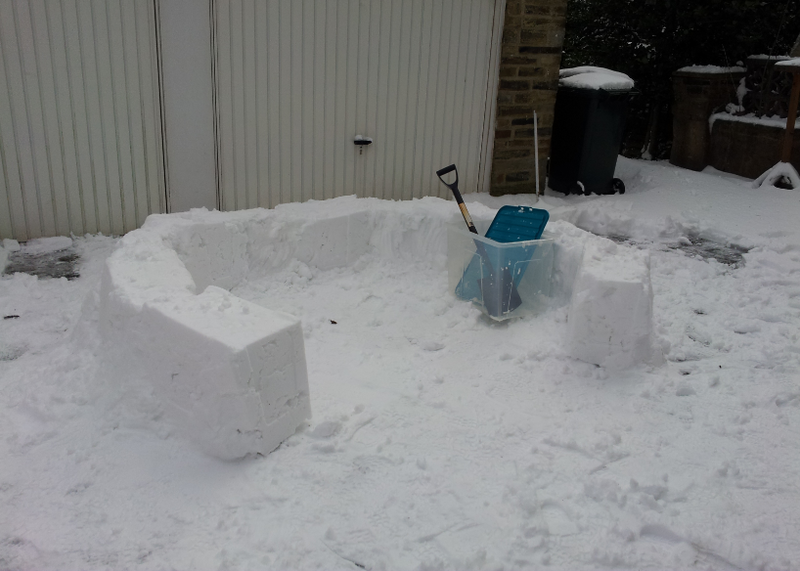 This doesn’t include any outdoor space e.g. if the rabbit hutch has a run permanently attached to the front. All rabbits housed outdoors need a run. The run needs to be at least 36 square feet, or 6 by 6 (8 by 4 is also apparently acceptable). Indoor rabbits are recommended to have outdoor access if at all possible, but there’s no recommendations for the amount of indoor space. This outdoor hutch design would look beautiful in a bedroom or lounge – I’d tile a floor underneath it and cover the whole of the bottom level with hay to give an outdoor style environment. How much time will your rabbit spend in their hutch? Be realistic. Do they only come out for an hour at dinner time? Do you plan for them to roam free in a particular room 24/7? Do you want them to run around the house but only while you’re in it? Think about how much time the rabbit will spend in their hutch. If they’re going to be closed inside while you’re in bed and at work, that’s about 16 hours a day of hutch time. Scale up the space accordingly. You wouldn’t want to live out the majority of your days in a space that’s your height (height) x your height (width) x four times your height (length), would you? Think about what you would like if you were a rabbit. You’d probably want to run around a bit, and have room to binky (happy jump) and stretch as well as room to sleep and impersonate a bunny slipper. 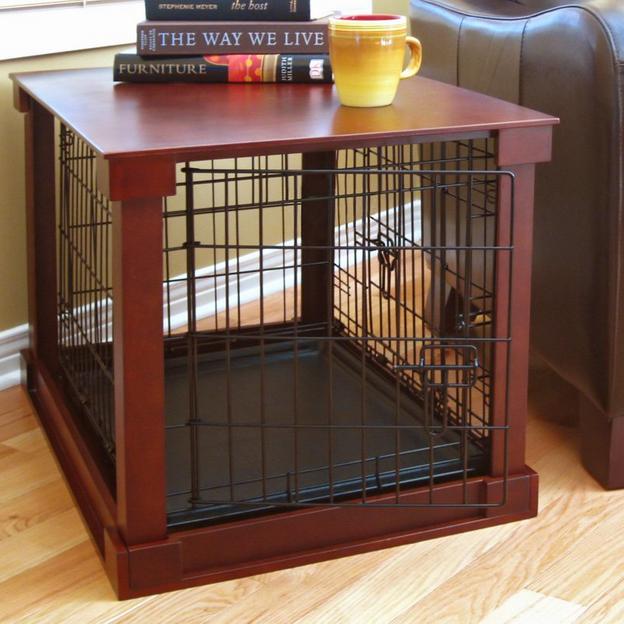 This gorgeous crate is cunningly disguised as a coffee table and would be suitable for a 24/7 free roaming houserabbit, or even overnight accommodation for your houserabbit if it was decked out with food, water, hay and toys, although if your rabbit is in his house a lot, you definitely need something bigger. Do they like to climb? Do they like to run around? If you left a dining chair out, would your rabbit climb on it? Do you have high ceilings? Do you have lots of floorspace? These factors affect whether you build a tall hutch, with lots of platforms and climbing spaces, or whether you build a short hutch with lots of horizontal space. If you have a low ceiling, a tall hutch isn’t your best solution. 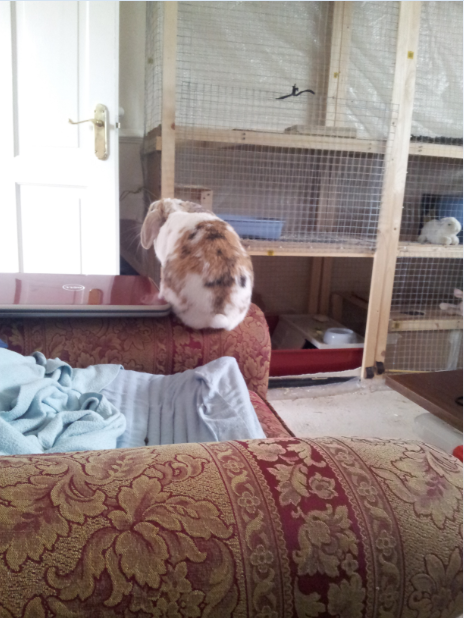 Likewise, if the rabbits are scared of climbing back down when they’ve jumped onto the couch, or if they’ve got a bad leg, they probably won’t suit a tall hutch. In this case, you would probably choose a hutch that took up a lot of floor space but with room above it for your own storage, e.g. wall shelves. 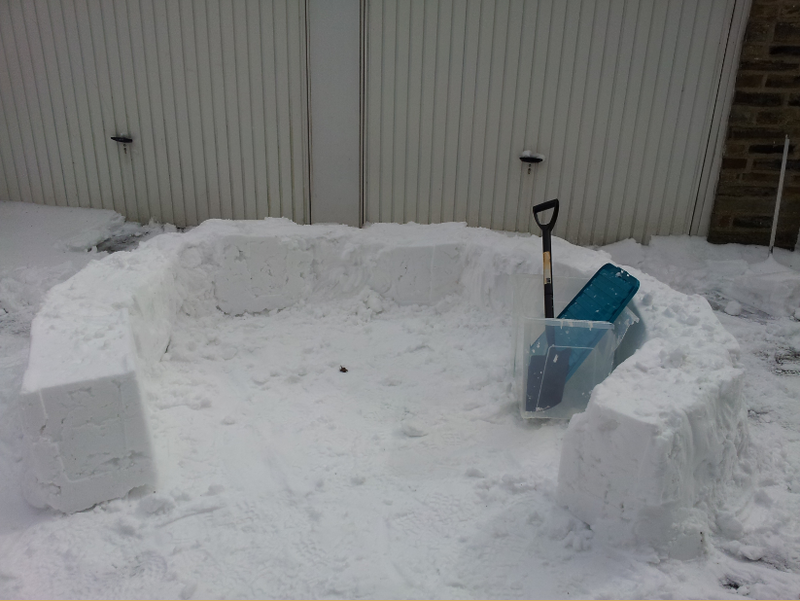 The dimensions are quite small but you could use it for dwarf rabbits or for inspiration of how to modify an existing hutch to make an exciting living space for your bunnies. How awesome is the window box???! If you have limited floor space, build upwards. 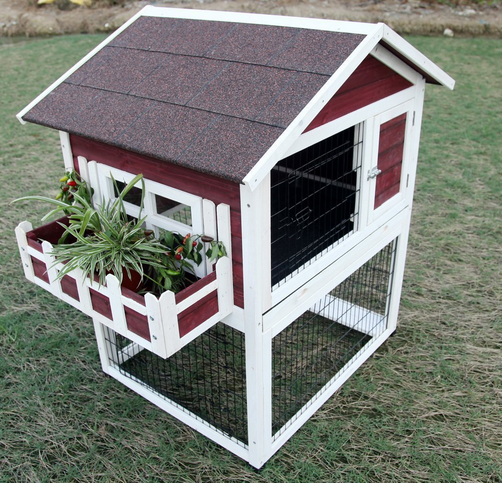 Even if your ceiling is only seven feet high, that’s still a pretty tall rabbit hutch (you want the highest platform to be reachable for cleaning, and the roof of the hutch needs to be placed high enough to allow the rabbits to comfortably stand upright on their back legs). 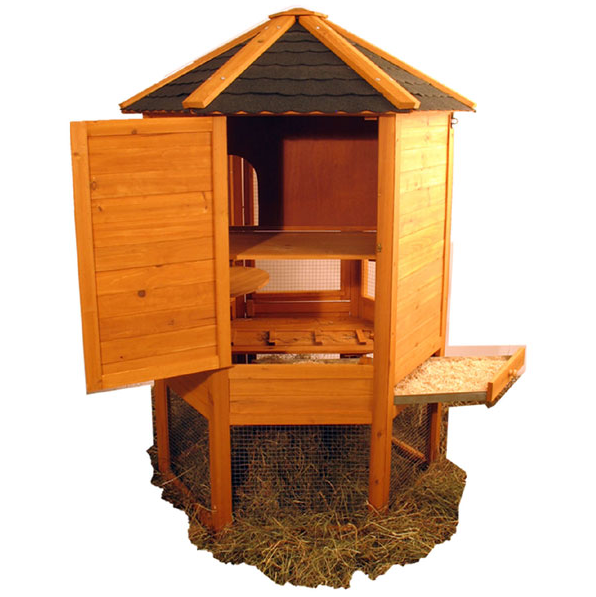 This behemoth from http://www.rehutches.com has four floors of bunny play space and a storage locker for hay and food, making the most of a tall room. I’d put this in my living room. Rehutches also does this wider tall hutch option for people with more space. I love the attic window! Don’t spend money that you don’t have on a rabbit hutch. You will resent your rabbits if they’re living in a palace and you’re out on the street asking them if you can stay the night, because you didn’t make your rent this month. 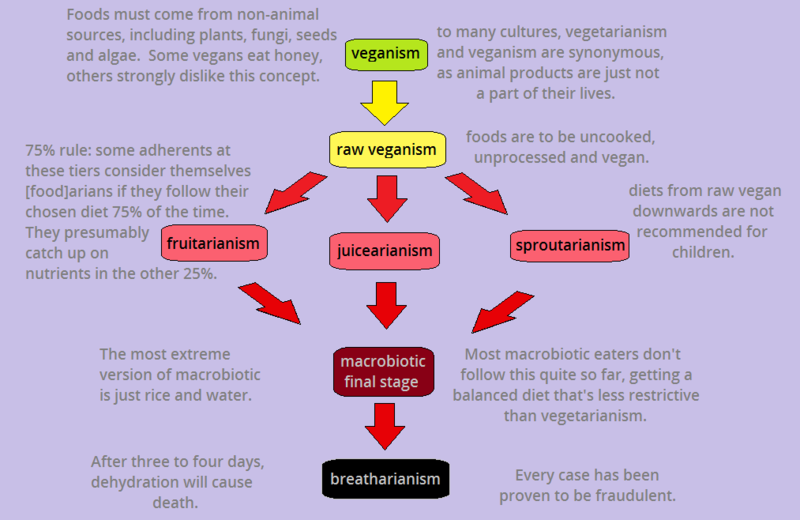 Yes, it is natural to want the absolute best for your bunnies, they are part of your herd. However, they also like living in a forever home with happy humans. 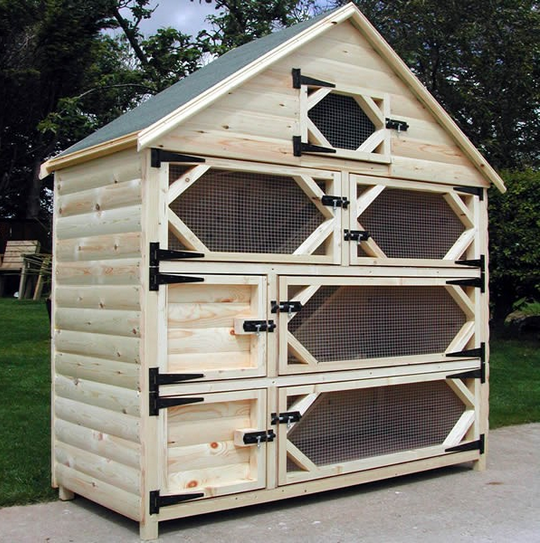 To this end, make sure you budget sensibly for your rabbit hutch or hutch building project. While budgeting, you may be looking at your various options and thinking “hey, it’s only wood and metal, right? 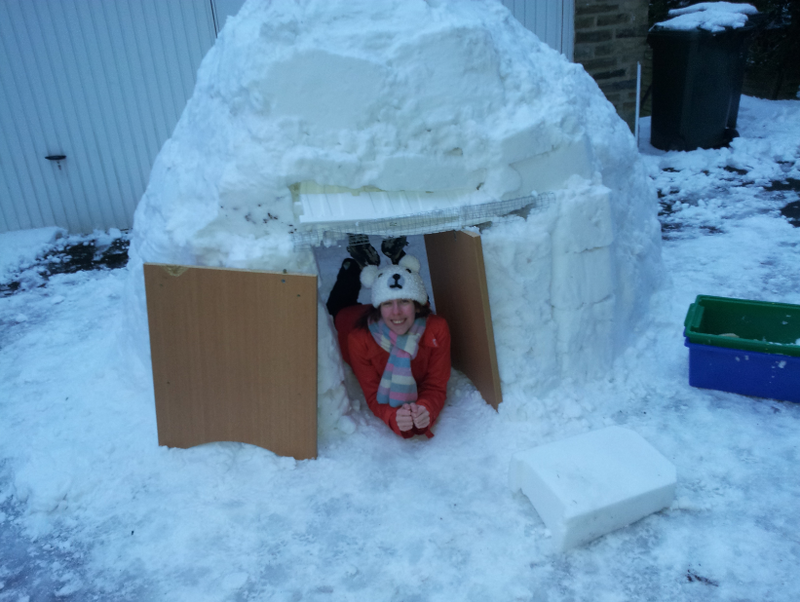 I could build this myself!” If you have the skills, or think it’s within your ability to learn, then great, good on you. If on the other hand you last used a drill to make a beer bucket in 1993, perhaps this is a job best left to the professionals. 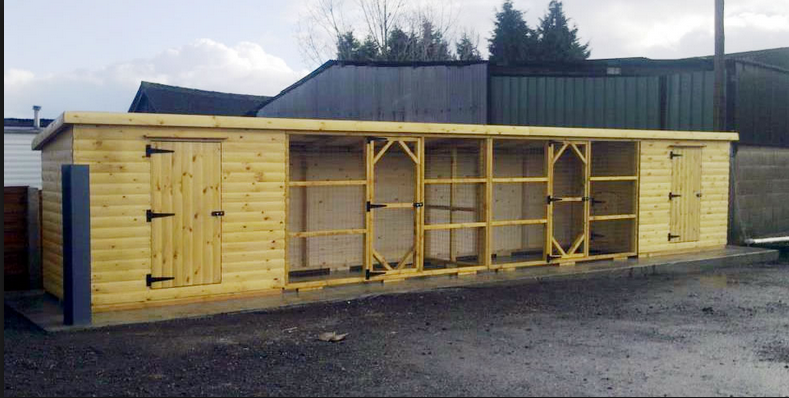 The cost of a ready-built rabbit hutch (or flat packed) can be extortionate, and many companies only offer a one-shape fits all approach, with the most common options being all that’s available. It’s up to you, and there’s a fine balance between budgeting and build skill. The final consideration here is whether it will fit in your home. If you’ve got a specific space earmarked for bunnies, it might be better to go down the custom-made route. Design the space, see what you can make yourself, see if there’s anything for sale that would substitute for the bits you can’t make yourself, and if all else fails, ring a custom rabbit hutch maker and have your serious money ready because custom made rabbit hutches can be shockingly expensive. Join two of these simple 55 inch panel rabbit runs together in a room (they’re modular, like lego, so you can make a big rectangle or circle with enough panels) to make the walls. 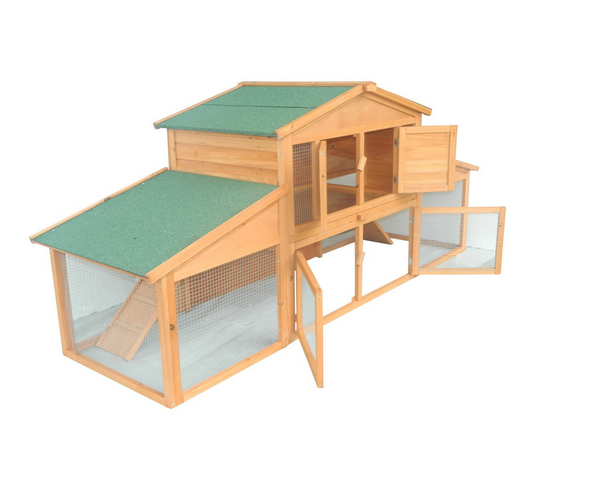 Team it with some good tile or wooden flooring, wall protection, a litter tray and plenty of hay and toys and a few platforms to get the perfect houserabbit’s indoor rabbit home. 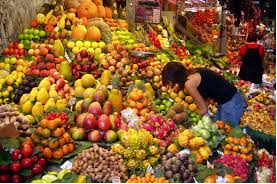 Add food, water and a rabbit or two and you’re good to go. 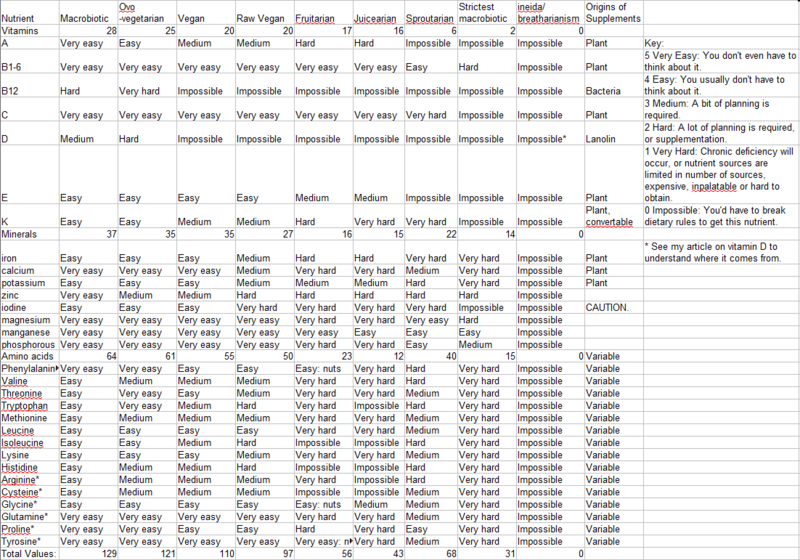 For larger breeds or more rabbits, just add more Panel Runs. The rabbit run above is available from most pet retailers worldwide. Sometimes they’re called puppy pens. I have two of these, 16 panels in total, which provide structural support to my Bunny Village where four of my six rabbits live. A google image search of rabbit accommodation, rabbit housing, house rabbits and rabbit hutches comes up with lots of good results, although on the last two there’s a lot of rubbish to trawl through as well. The best thing about getting inspiration from other people’s pictures is that often you can find a way to simplify what they have done, and adapt it to make the ideal environment for your bunnies. 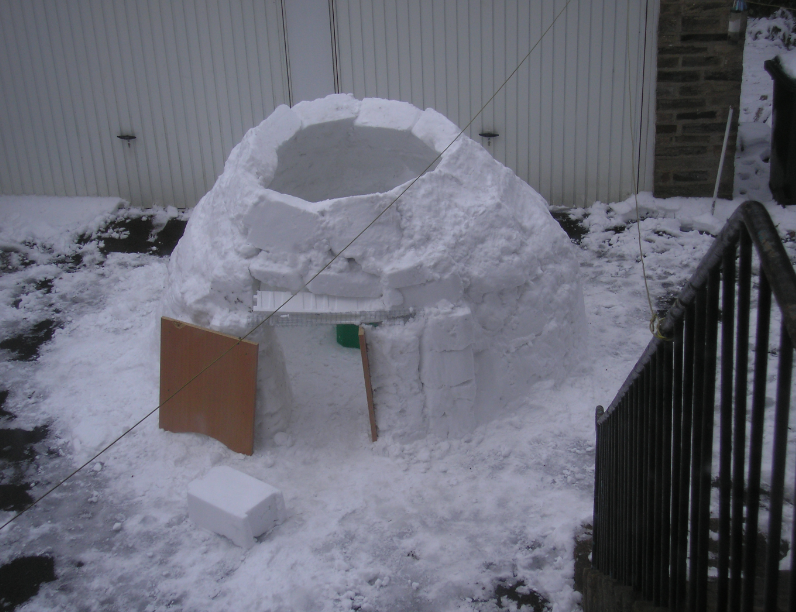 This is the sort of awesome rabbit home you can build using the panel runs I mentioned above. Remember to do a more detailed sketch after the first, rough sketch, where your lines are drawn with a ruler and a scale, your materials are labelled and listed, and features are explained briefly. I like square paper for anything like this. If you’re open ended or uncertain about which materials to use, a quick browse of DIY stores can help. Otherwise, you could ask a member of staff at a DIY store (although some people have conceptualization problems when it comes to building something that’s slightly outside the box – these people get confused and think you want to make one of those tiny, 3 foot outdoor rabbit hutches that evil people leave their poor bunnies in. If you get stuck with a cretin, just smile and nod and go elsewhere). Also bear in mind that you are under absolutely NO obligation to buy something just because the sales advisor has spoken to you about a product. It’s okay to say “thanks, that’s really helpful, once my design is final, I’ll come back with measurements” then work out where you can get the cheapest bargain. 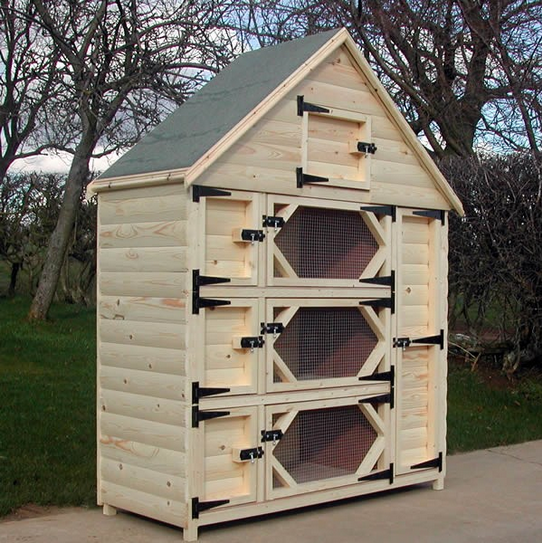 If you have the room in your garden, this giant hutch (it’s more of a rabbit annexe or outhouse) from http://www.rehutch.com would be amazing even for a bonded quintet of giant rabbits! 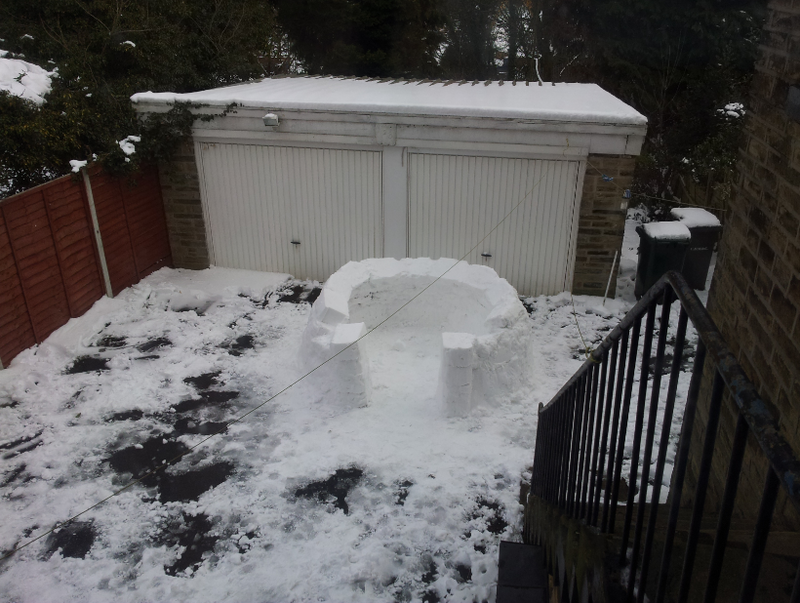 You could build something similar using two garden sheds and some wood and wire, and make the bit in the middle roofless (cover in wire instead) so the grass continues to grow. Not very handy with a saw? The guys at Rehutch will probably custom make something for you, I’ve never met them but their website seems very rabbit-friendly. This stage might include cutting wood and screwing it together. Or it might include clipping together a flat packed hutch from amazon. Whatever hutch design you’ve gone with, this is the stage where it will start taking shape. Remember to test your hutch for stability before moving the rabbits in, the only thing worse than the hutch falling down with them in, is when they crawl out afterwards, scared and confused, and electrocute themselves on an exposed wire you never expected them to get close enough to chew. Don’t let this happen. Banacek’s hutch is 6 foot wide, 6 foot tall and two feet deep, and was custom built by someone who’s handy with a saw and nails (not me). This is the best stage. Take photos, take videos, introduce the rabbits to their new home, show your friends and the Internet. Feel proud that you conceptualized this and have seen it through to the end, you’re officially awesome. 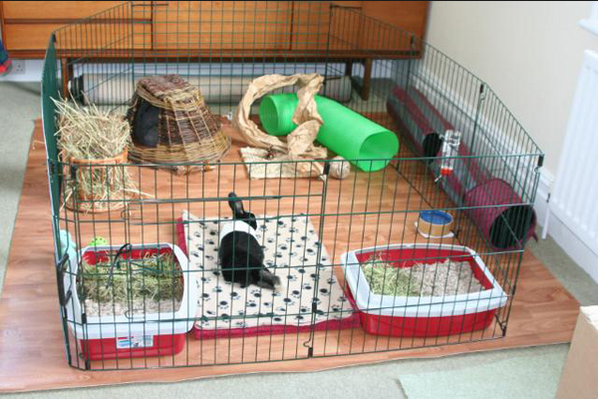 Bunnies sometimes take a few days to feel settled in a new home, so their initial reaction can sometimes be a bit icy, but they will grow to like their new, spacious, fun rabbit home. Two beauty posts in a row, you’re thinking, what is going on? It’s Christmas soon, and I will be going to see my aunts, where I can’t really start taking photos of nail polish and what not so I thought I’d do two in a row then do my next beauty/hair post in the new year. Between now and then, of course, I will do travel, rabbits and wellness posts. Today I’m going to look at two nail varnishes that claim to give you “gel” nails. Gel nails have been heavily marketed this year as the next big thing in nail polish, and it seems that nail varnish companies don’t even have to make a product that remotely resembles an actual gel finish in order to put “gel” in the title. I’m not reviewing ones like that which I’ve tried out, because I don’t really have the money to waste on buying them to do a proper review, and I don’t think it’s right to do a review from the shop’s testers that you see in drugstores (although I’m sure some people do). The two I’m reviewing both offer an above average shine finish, which I would say at least looks a bit like a gel. First of all, let’s talk colour. As you probably know, Avon is a mail order company so their products can be a bit hit or miss. 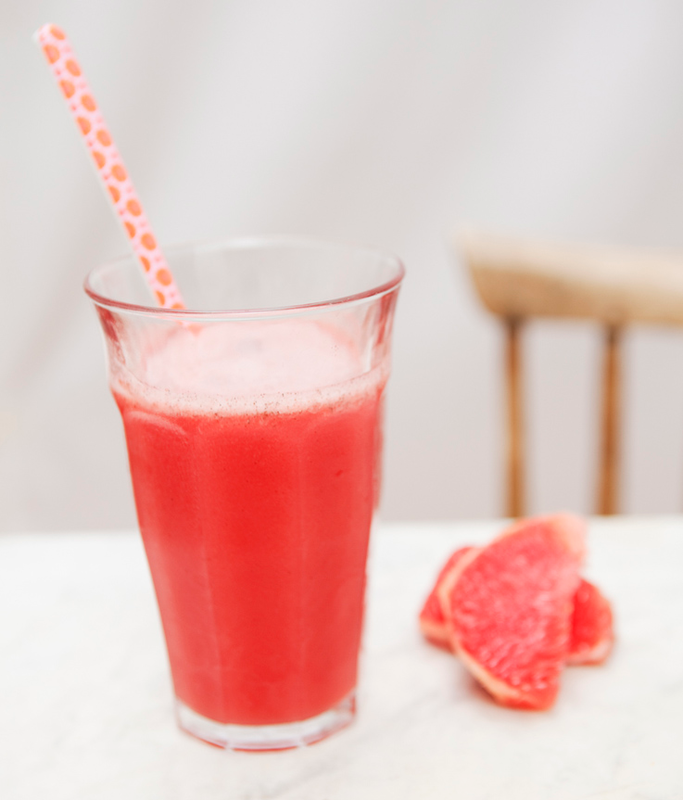 The colour I got was called Candy Apple, and in the brochure it showed a nice pinky red – I thought it would suit me because my skin tone doesn’t suit orangey reds at all. It turned up and was orangey red. So I went to the shop and bought the Collection Lasting Gel Colour in Raspberry 7. This was exactly the same colour as the other one was advertised, and I really love the Raspberry colour, it’s a very grown-up seductive pink in the bottle. Going on my nails, the Lasting Gel Colour Raspberry stayed true to its bottle colour and the Gel Finish Candy Apple got even more red. I definitely was happier with the Raspberry shade and wish Avon would be a bit more forthcoming with key information when they advertise products, such as more accurate colouring (perhaps they could photograph the bottles of nail varnish from the front rather than doing the computer-generated splodges of colours). Avon Gel Finish in Candy Apple (left) and Collection Lasting Gel Colour in Raspberry 7 (right). This is without fake tan but I still think the one on the right works better for my skintone. Drying time was about equivalent – a light coat of both nail varnishes took maybe 90 seconds to dry. Neither of them took very long and I was walking around on my newly-painted toe nails in no time at all. Neither of them used a fancy drying light they just air dried to a nice shine. The shine was superior on the Avon Candy Apple. It was definitely the shiniest product once they had dried, although the Collection Raspberry wasn’t far behind – I tried to show the light reflection in my photos. Both could legitimately claim to have a gel-like finish to them. I examined them again two days later and they just didn’t look as shiny – I suspect they use waxes to get the shiny finish. The Avon one looked like it had been smudged over the last two days, which is impossible because it was totally dry after 90 seconds. The Collection one had faded to the same amount of shine as a normal nail varnish. The colour of both nail varnishes didn’t fade at all though. This photo is to show how shiny they were in normal lighting (with a ceiling light with an energy saving bulb). I think the Avon Gel Finish one came out shiniest. In conclusion, I liked the initial super-shiny finish of the Avon one better, but I preferred the colour and the duration of the Collection nail varnish, which also happens to be significantly cheaper at £2.99 a bottle, whereas the Avon one is £7 a bottle. If I was buying a red-like nail varnish again, I’d go with the Collection Lasting Gel Colour because I scoured Avon’s listings and they just don’t have any other colour that looks anything like Collection’s Raspberry 7 and I just really love that colour. I’ve never had a gel pedicure so I can’t say how it compares to a professional finish, but then I don’t think these nail varnishes would ever really replace salon services, they’re more of a DIY option for people like me who like to do things at home (or on the road). They’re both nice Christmassy colours though and at the end of the day it totally depends on your skin’s undertones as to which one would suit you best – I hardly ever wear colours this bright (and never on my fingernails, they’re always done in neutrals) but I was very taken with the pinky-red colour I saw in the Avon catalogue in the first place. 20. Ben Lomond, Scotland, UK. 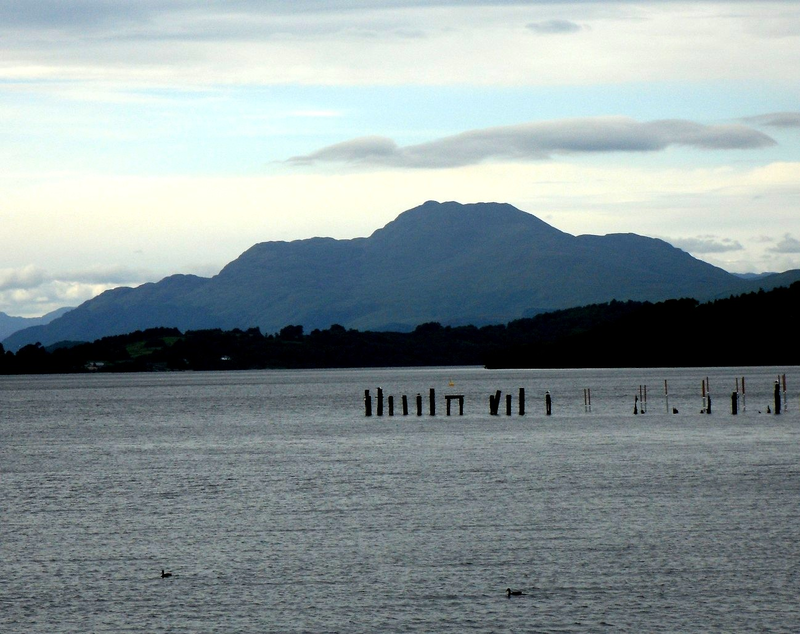 Ben Nevis may hold the title for the highest mountain in Scotland – and the UK – but Ben Lomond, sitting on the edge of Loch Lomond, is a worthier climb: It has the traditional mountain shape, and at 3196 feet (974 metres), just about anybody can climb it. 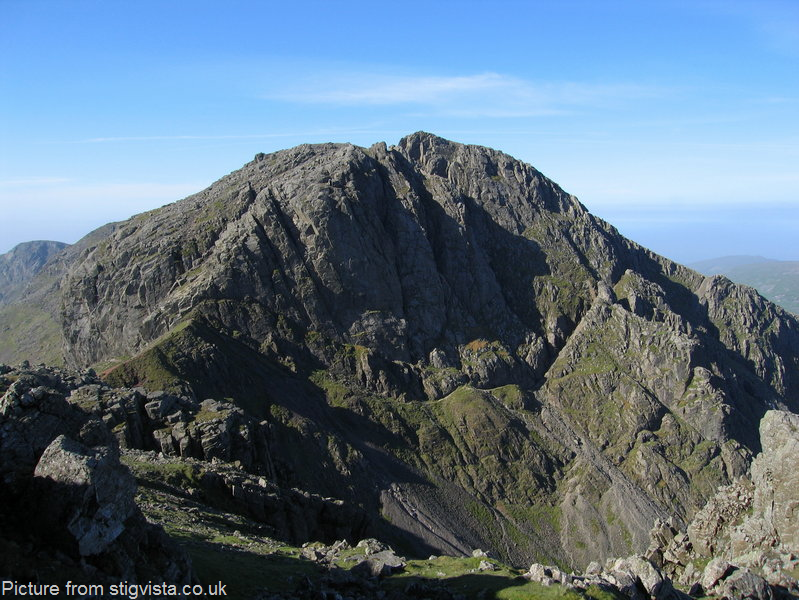 Scaffell Pike is the highest mountain in England, at 3209 feet (978 metres). 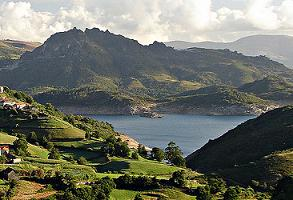 It’s situated in the middle of a cluster of other peaks, and the view from the top is reputedly stunning. 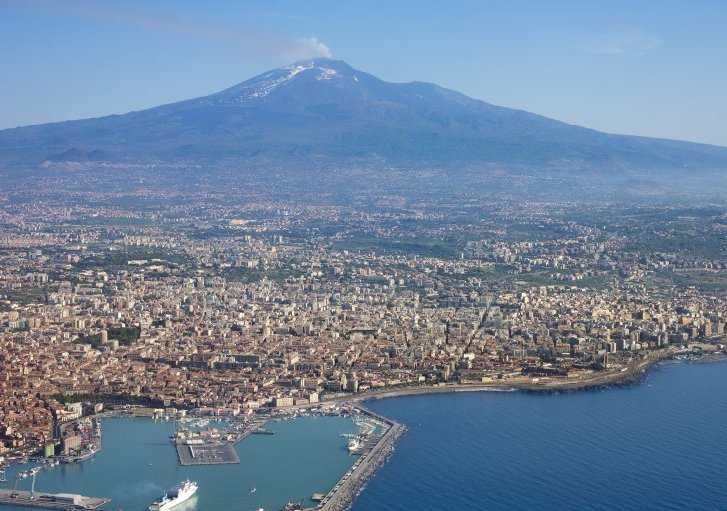 Most people know that Mount Vesuvius is the active volcano that destroyed Pompeii. 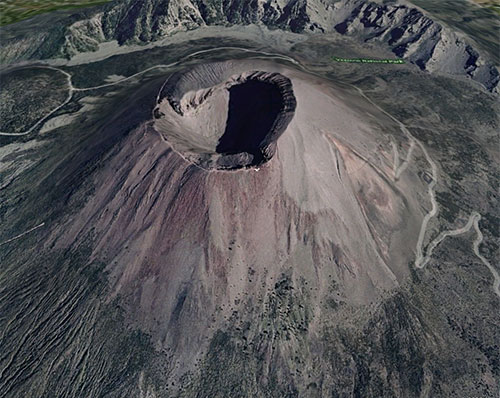 Far less people know you can climb this mountain (when it’s not erupting) as it’s part of a National Park. At 4203 feet (1281 metres) we’re still in “long hike” territory in terms of difficulty of climb, and climbing an active volcano is definitely a story to tell back home. Just avoid any glowy orange streams. 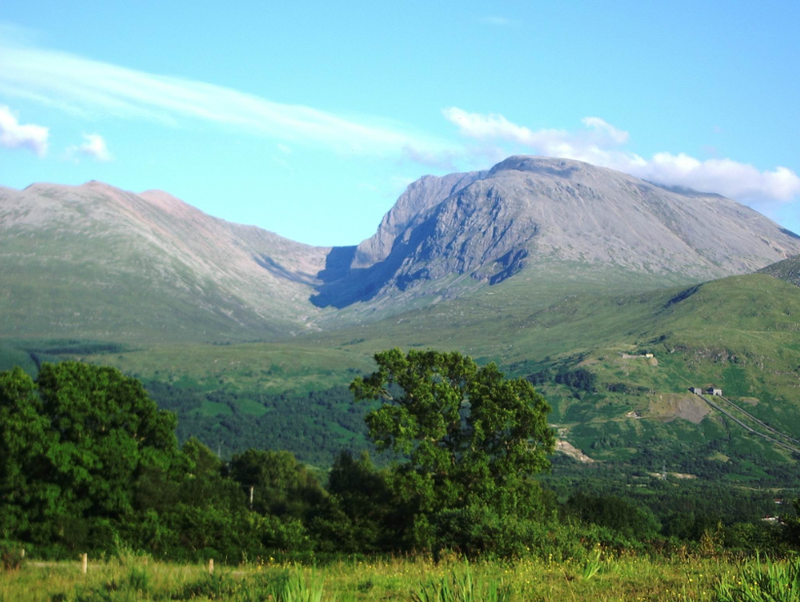 Ben Nevis is the highest mountain both in Scotland and the UK, at 4406 feet (1344 metres). Its funny shape doesn’t put off legions of climbers every year, and there’s even special arrangements for disabled climbers to reach the summit. Just beware the vicious midges that plague Scotland during the summer months. Portugal isn’t famous for having particularly high mountains, but the ones it does have are an excellent platform to hone your skills before attempting any of the Alps, Pyrenees or Sierra Nevadas. 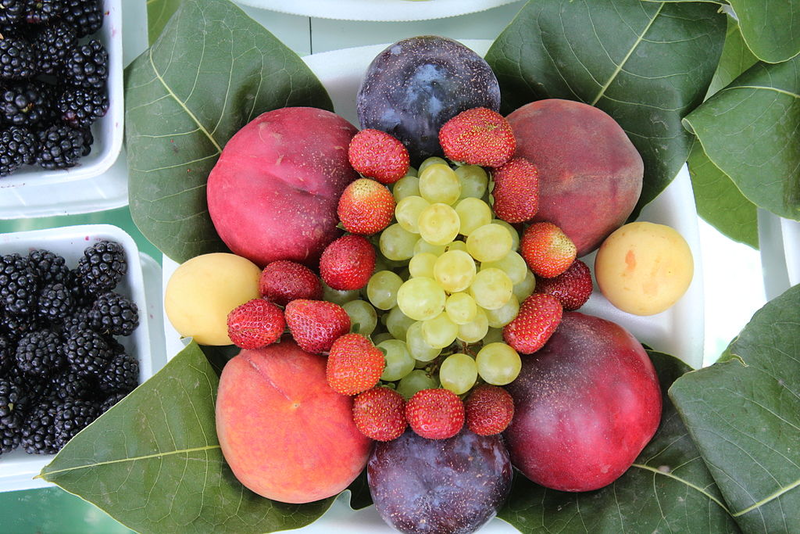 At 5115 feet (1548 metres), Serra Do Gerez is a worthy offering. 15. 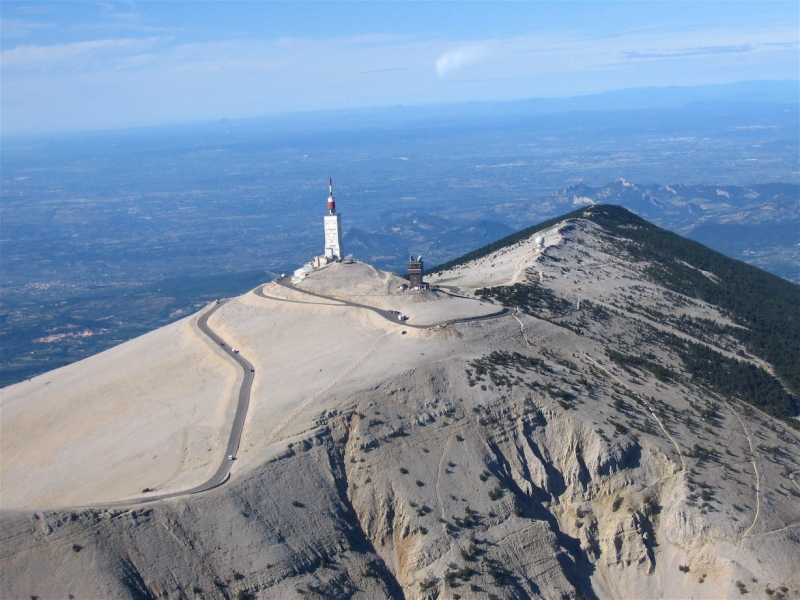 Mont Ventoux, Provence, France. Just take a moment to savour that view. There’s a road all the way to the highest point, which is 6273 feet (1912 metres), so this mountain could be cycled, rollerbladed or skateboarded if you wanted to mix it up a bit. As the name suggests, it’s windy at the top, so you’d better pack a mac. 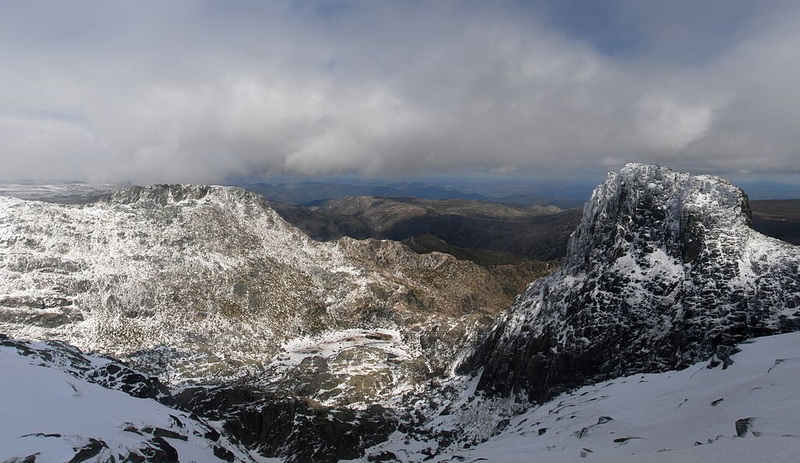 On the Spanish border with Portugal, Serra da Estrela (Star Mountain Range) packs an impressive punch. 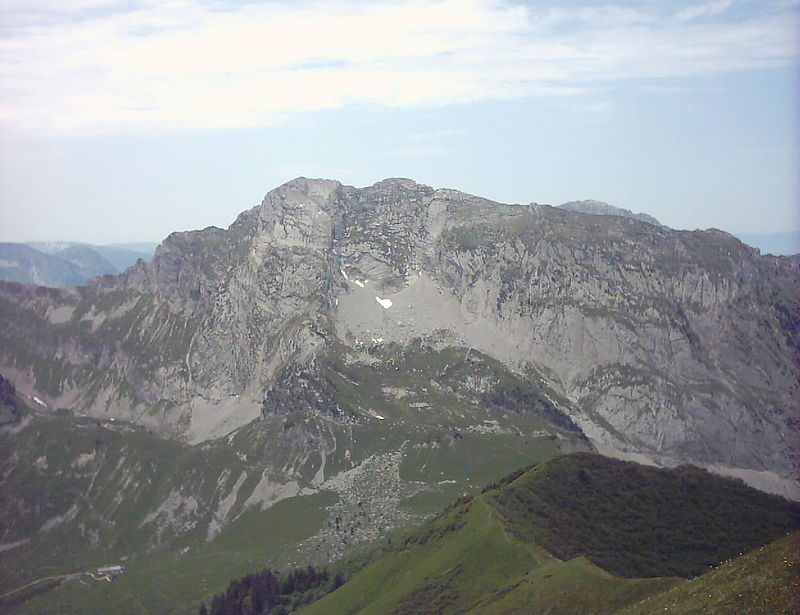 The highest point is Torre, which is 6539 feet (1993 metres). It’s also Mainland Portugal’s highest point (the highest point in Portuguese territory is on Madeira Island in the Atlantic Ocean), so if you bag this one, you’ve climbed the highest mountain in Portugal. At 6699 feet (2042 metres), this is the first mountain over 2000 metres on the list. It’s also a Via Ferrata, a special network of fixed climbing points around the Alps (and now extended all across France/Andorra) that can be solo-climbed. There’s also caves and marmots nearby. What’s not to love? This mountain looks like it got bombed, with the huge curvy hole in its front. I guess that’s where the “egg” in “Kaiseregg” is supposed to fit. At 7169 feet (2185 metres), it’s well worth a climb when there’s no snow. 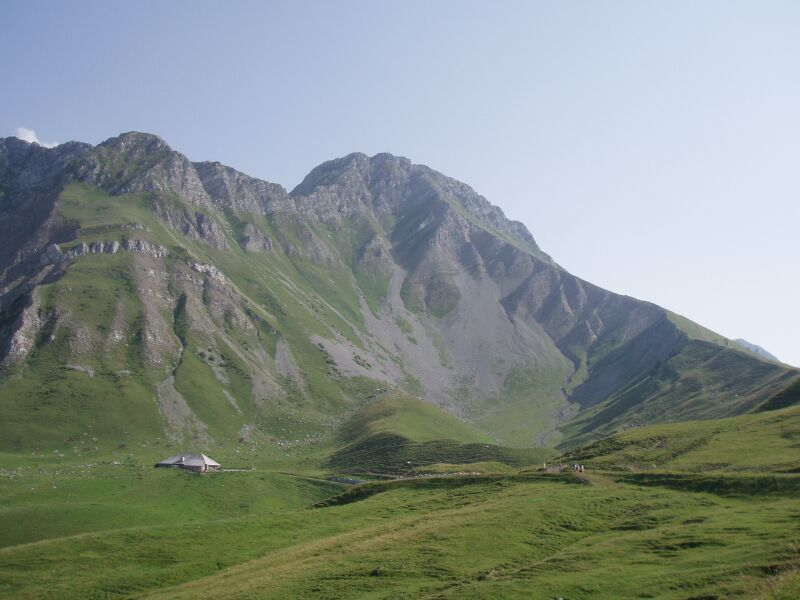 The fourth highest mountain in France, Arcalod is 7274 feet high (2217 metres). 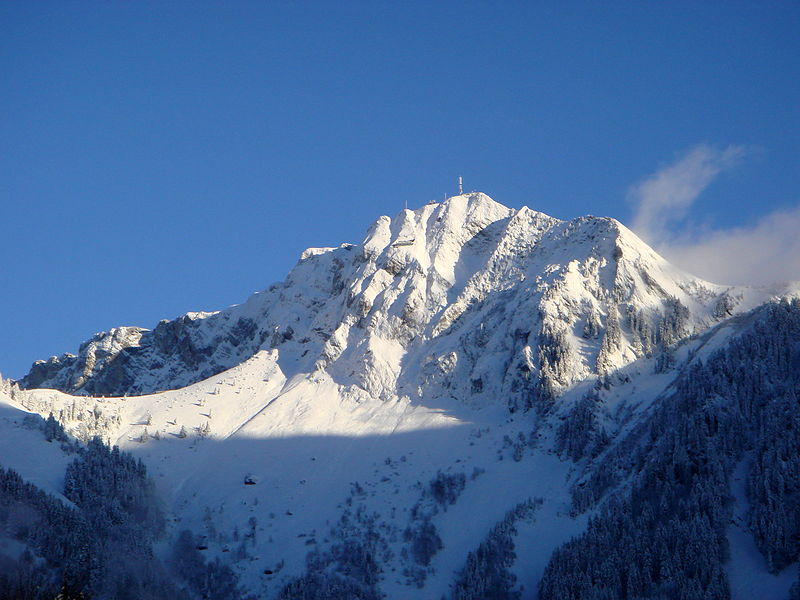 It also happens to be an Ultra Prominent Peak (the peak is at least 1500m above the surrounding landscape). I would imagine getting back down again would be the trick. At 7658 feet (2334 metres) high, this mountain looks like it fell down drunk and landed in the forest. I particularly love the stripy effect of the rock face and the greenery. 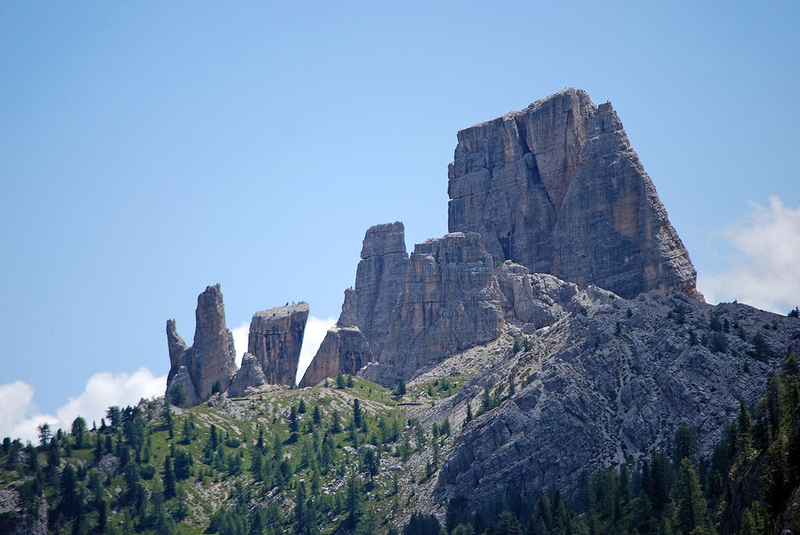 Cinque Torri is a five-peak mountain on the Via Ferrata, one of the first Via Ferrate to be constructed – this one apparently has a museum dedicated to the World War One Italian soldiers who fought their war right here on the Austrian Front. In mythology, Olympus was home to the Greek Pantheon of Gods, and no list of European mountains would be complete without it. It’s the highest mountain in Greece (of course) at 9577 feet (2919 metres), and as part of a national park it’s climbable, too. Officially the highest active volcano in Europe, Mount Etna was rumoured to be the resting place of one of the Ancient Greek Titans. Higher than Olympus, Etna’s height is constantly changing because of the regular eruptions, but currently stands at 10,990 feet (3350 metres). 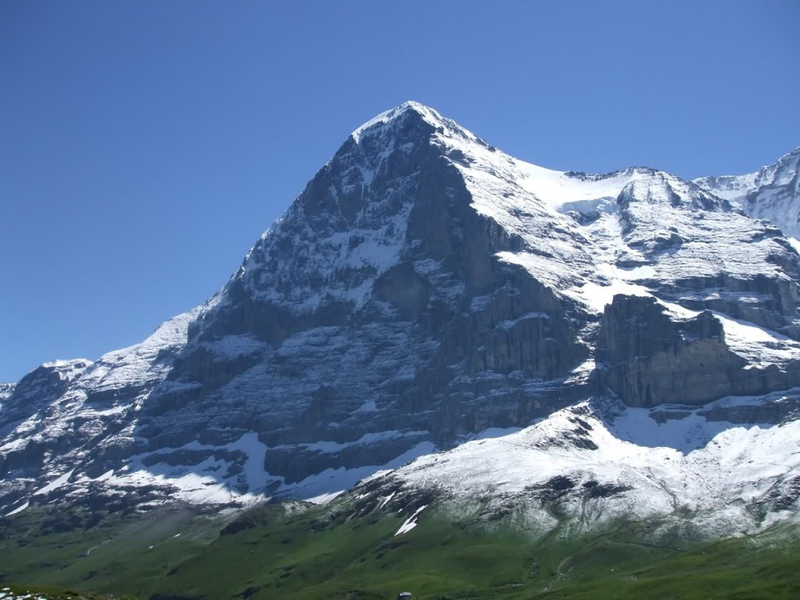 Famous for having the biggest North Face in the Alps, the Eiger has claimed the lives of many climbers in the early days of mountaineering. It’s 13,020 feet high (3970 metres). 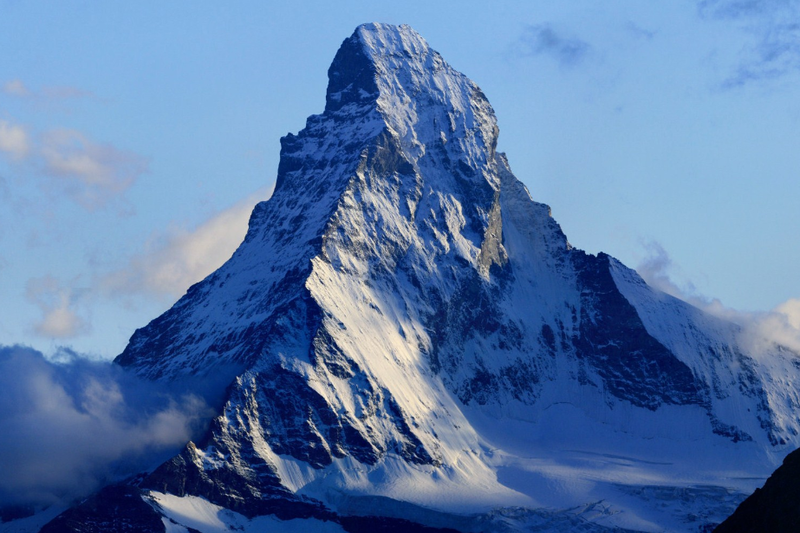 Another infamous mountain, at 14962 feet high (4478 metres) the Matterhorn was classed as the most dangerous climb in the Alps for a very long time. Now, there’s a funicular (railway) all the way to the top. 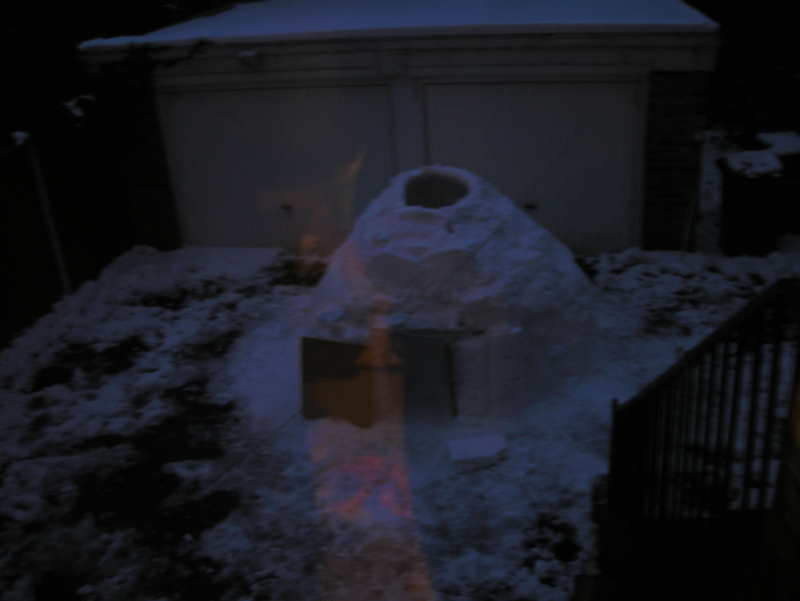 Also, it looks like a wizard’s hat. 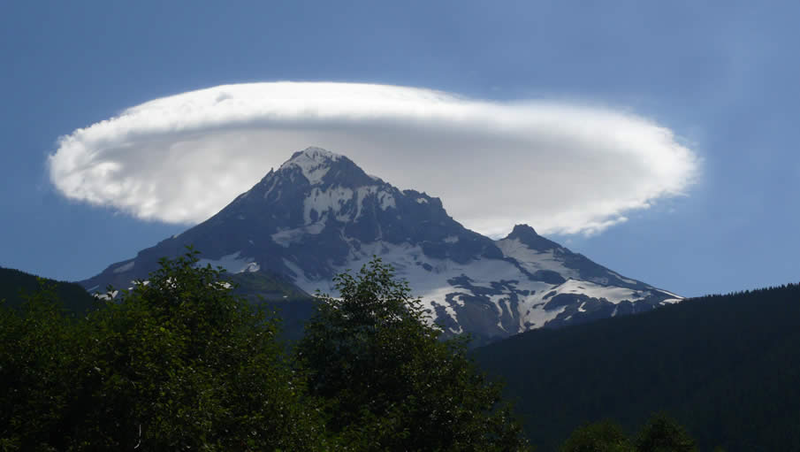 Most climbers consider Mont Blanc to be the highest mountain in Europe (although it depends on the geographical definition of Europe, as the community’s a bit divided). It’s certainly the highest mountain in “geopolitical Europe,” at 15781 feet tall (4810 metres) it’s certainly no picnic in the park to climb. Most climbers spend some time acclimatizing before making a bid for the summit. 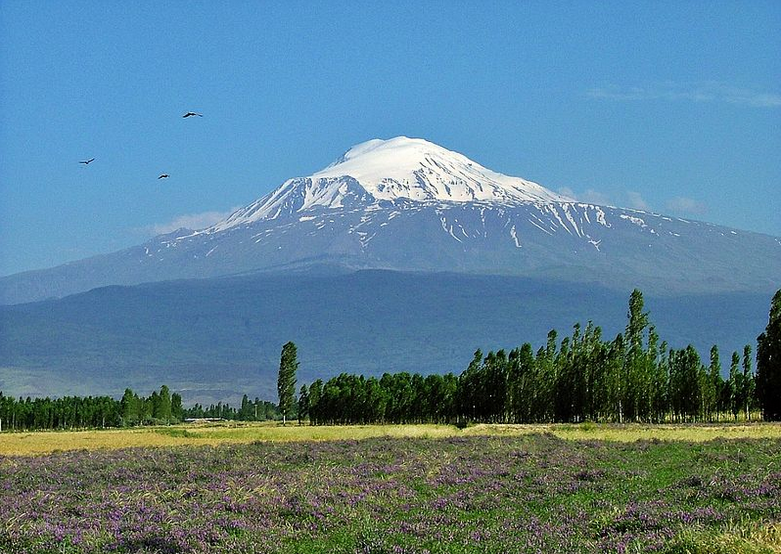 It’s the tallest mountain in Turkey, dwarfing even Mont Blanc, at 16954 feet (5137 metres), and is said to be the mountain where Noah’s Ark ran aground after the Great Flood, so it’s very historic. You need a special permit to climb it, however. 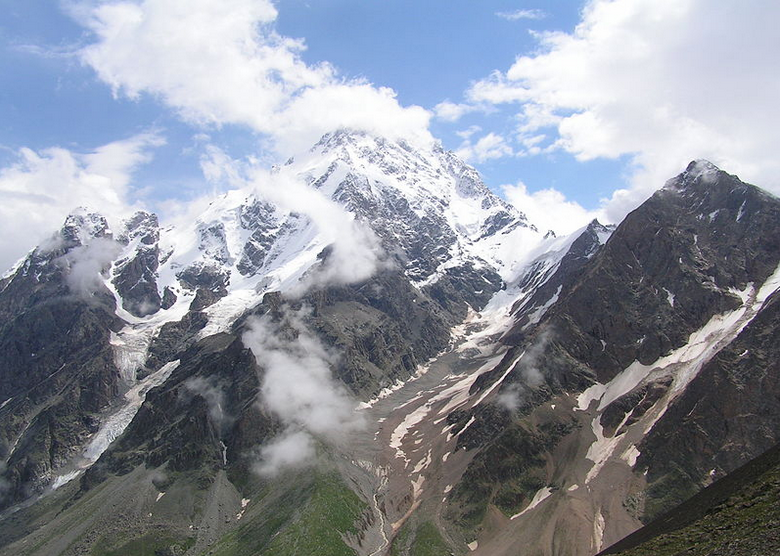 While there’s a lot of disagreement as to whether The Caucasus actually counts as Europe, both the Seven Summits and Seven Second Summits lists have mountains from the Caucasus range in them. Dykh Tau is the European contribution to the Seven Second Summits (the second highest mountains in each continent) at 17077 feet (5205 metres), so it made my list (and the first five thousander on the list). 1. 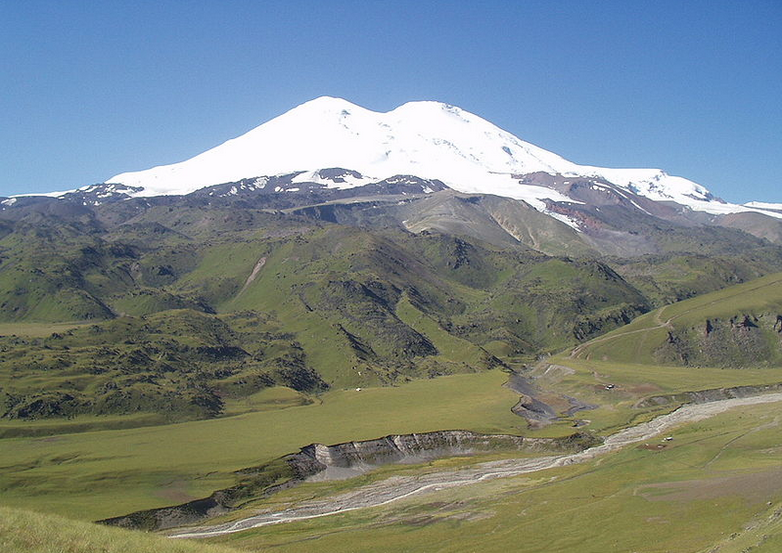 Mount Elbrus, Caucasus Mountain Range, Russia. If Gora Dykh Tau was the second on this list, then Mount Elbrus, the European listing for the Seven Summits, is of course going to be number one. 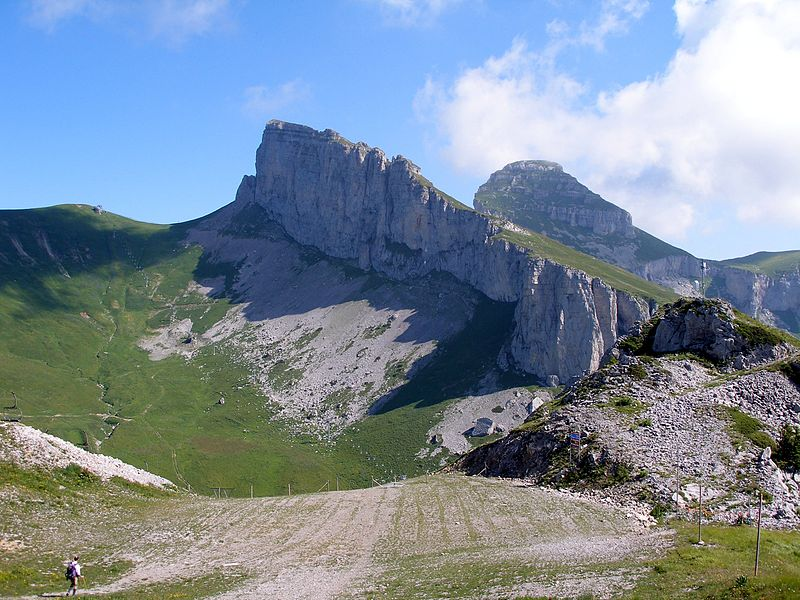 It dominates the landscape at 18510 feet (5642 metres) and has the reputation for having the worst toilet in Europe on its summit. Which of these would you like to climb most? Which looks impossible? Are you inspired to climb something in the New Year?